I’ve joined a theatre company, Broken Spectacles. 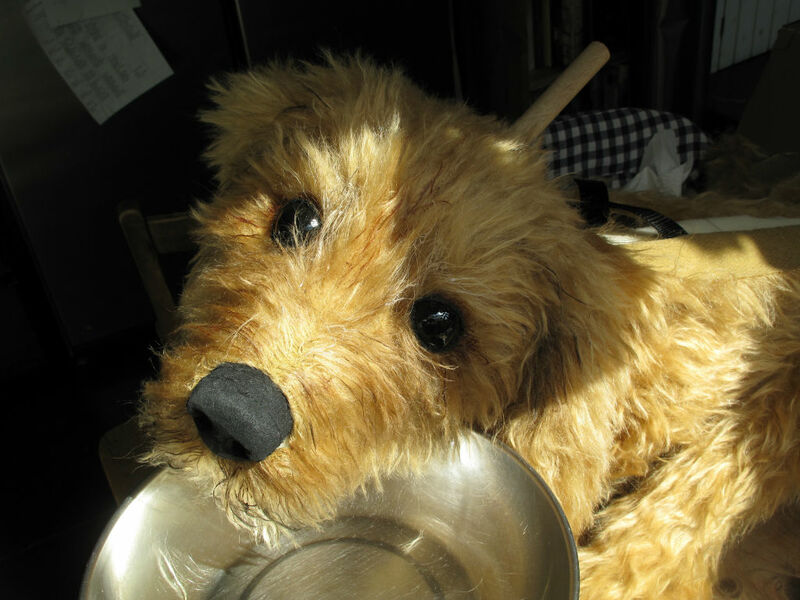 The wonderful Helen Aldrich began it and invited the equally wonderful Rosie Race and me to join her on a production called At Sea. 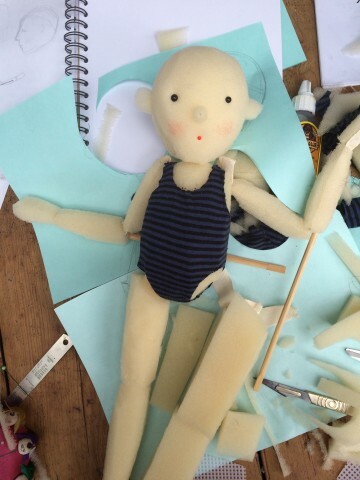 We wanted a little girl puppet and I thought I’d share the process of designing and making her. 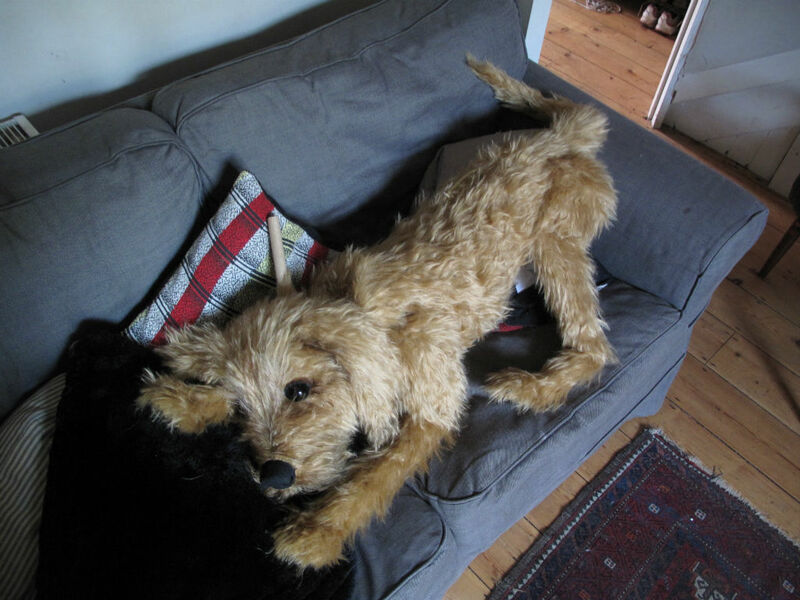 I then spent some time with a scalpel blade and scissors sculpting the body, head and limbs from reticulated foam. I usually make a pattern from paper of the front and side views of the piece I want to sculpt, let’s say the body and draw it onto the foam, then begin sculpting. 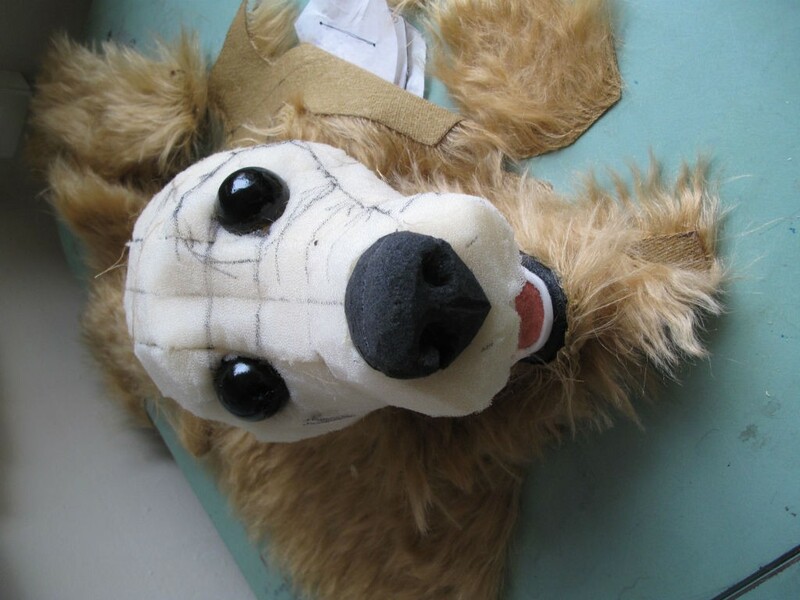 I looked at the head and body from all angles refining the sculpt, then smoothed out the surface of the foam with tiny little scissor cuts, I drew the cheeks on with a felt-tipped pen, the eyes at this stage are just glass headed pins and the mouth is a piece of felt. 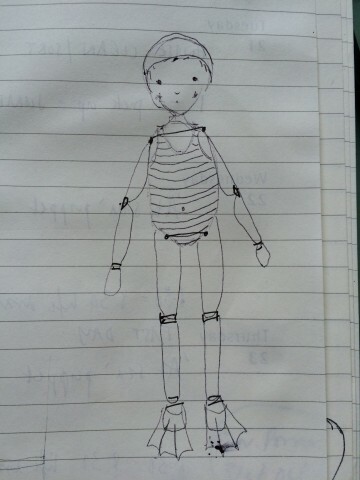 The limbs are made from the same foam but have cotton webbing sandwiched between two thin layers of foam and as this is just a sketch of a puppet the limbs and head are all held to the body with strong thread. 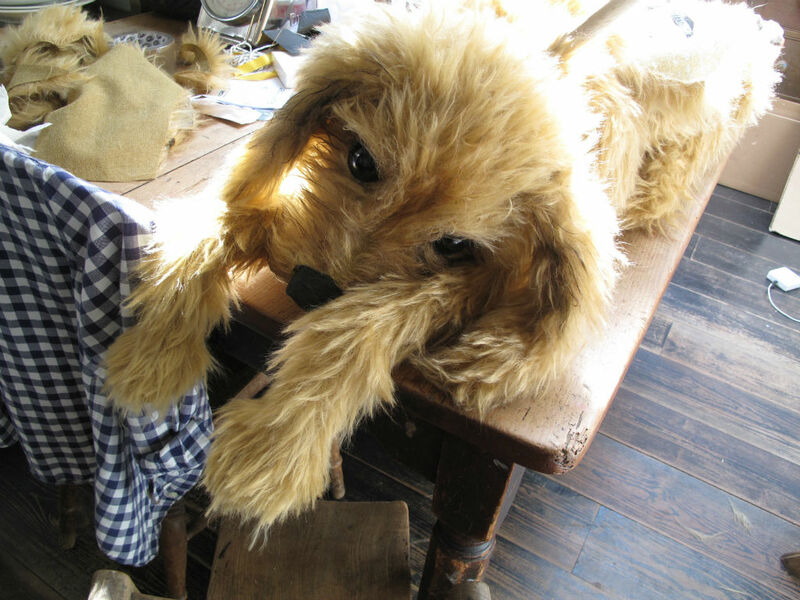 I slit the lower arm foam and glued in a chopstick to manipulate the puppet’s arms and attached a rod to the back of the head also. The swimming costume is made from the sleeve of an old t-shirt. 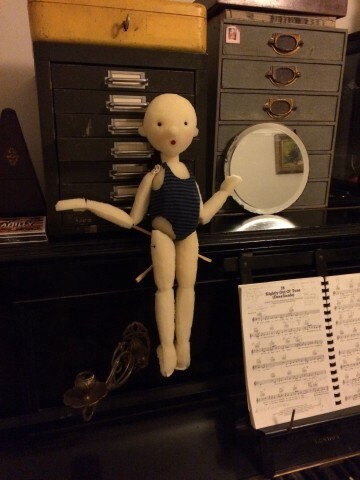 She’s not finished yet, she needs a swimming cap and a bit of a fringe, and she’s just a little practice puppet to look at how she moved and what we could do with her. 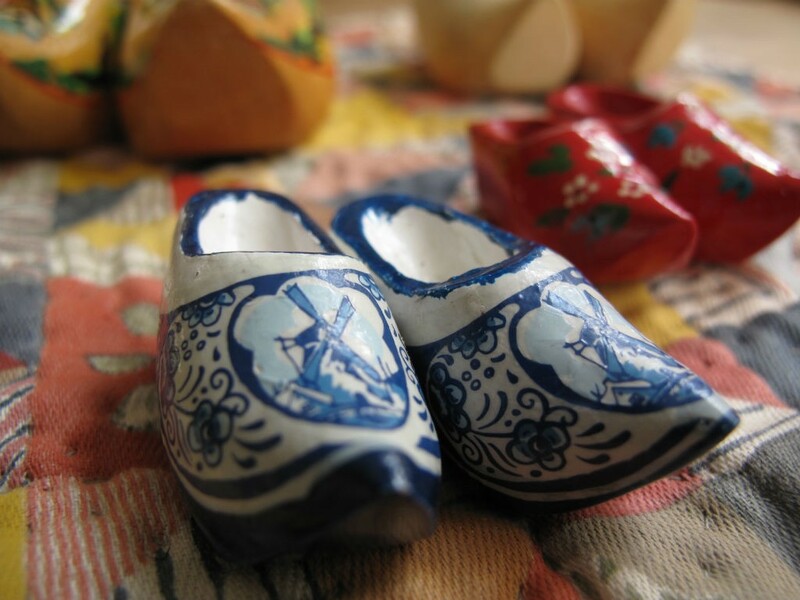 We’re hoping to secure some funding so I can develop her further and make her maybe larger and a lot more sturdily. I’ll be taking some footage of her swimming and will attempt to add it to this blog post over the next couple of days. 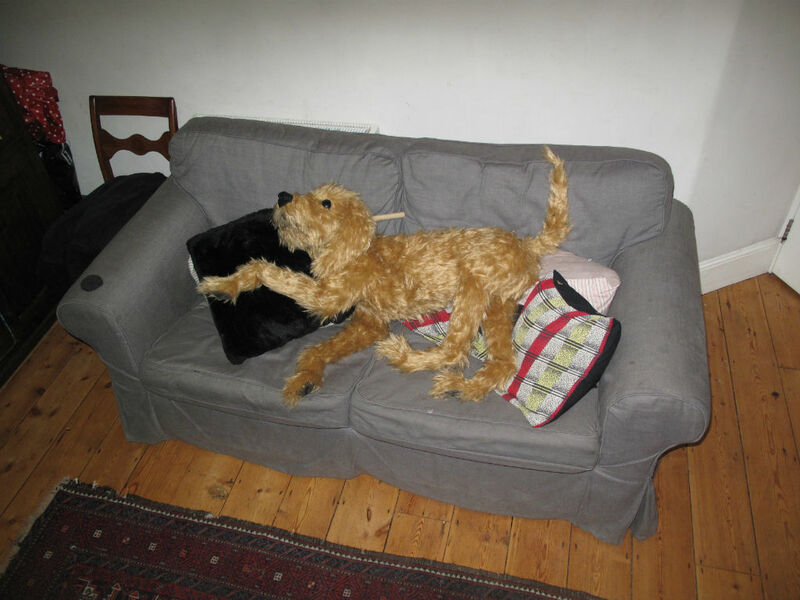 I’ve been making a huge puppet dog for a production of Annie Junior in the West End…. 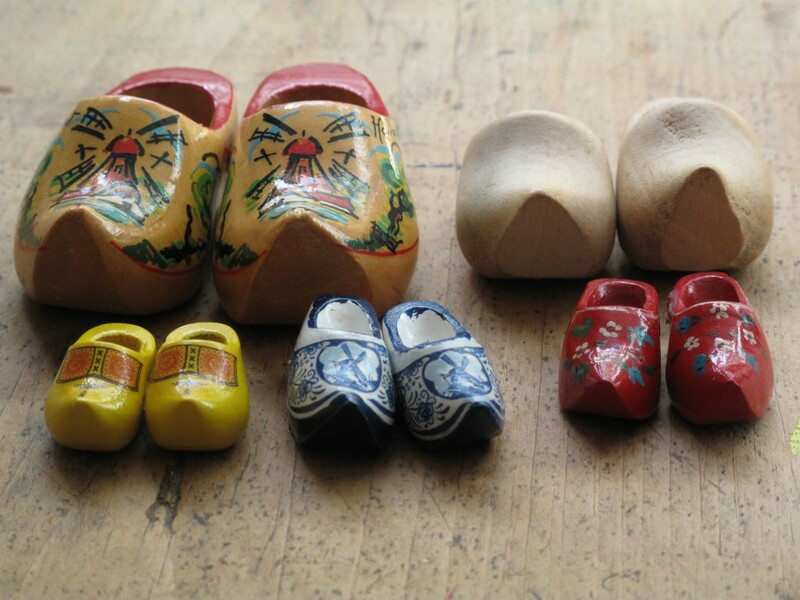 I have a collection of miniature clogs, 5 pairs in all. 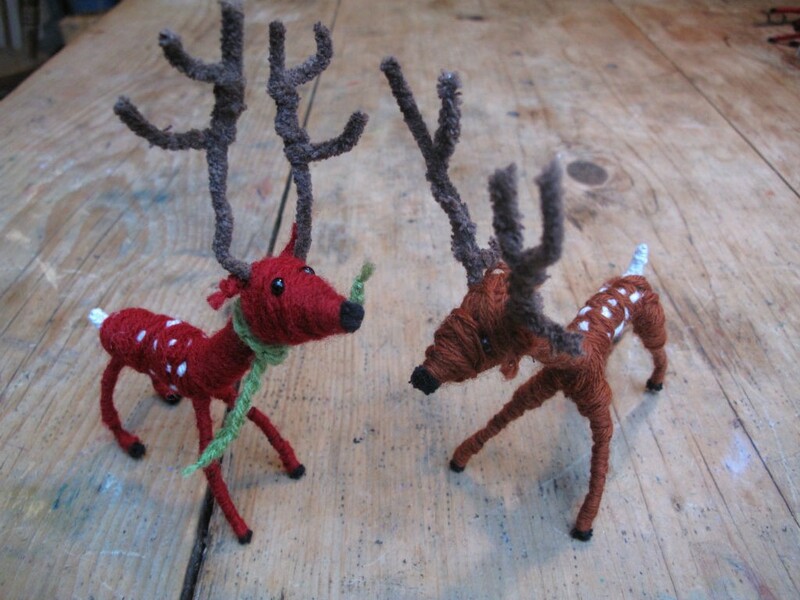 They look so cool and have inspired me to design and make 5 little rod puppets, a bird first then a mouse, a monkey, a pig and a little child. That might change, it might be a rat. 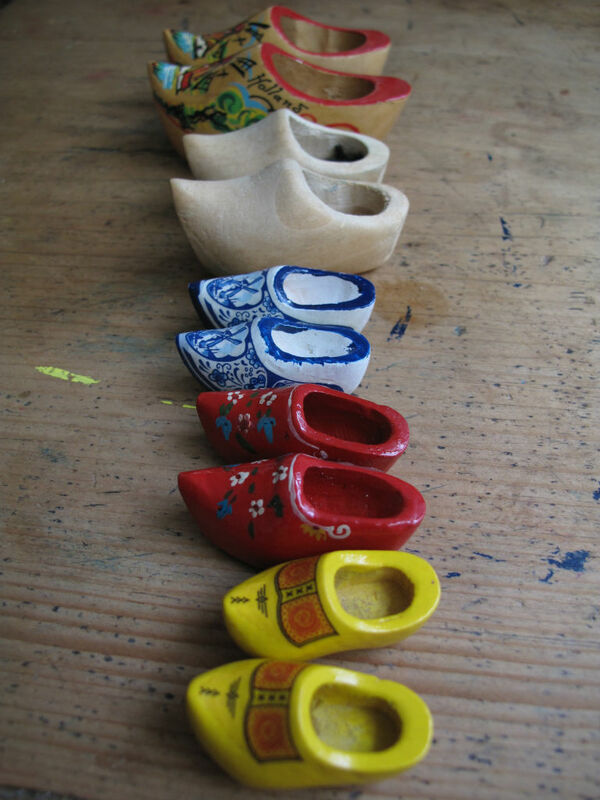 But I thought it would be fun to document the whole process here, starting from the clogs which sparked the idea and ending with the finished puppets with all the stages in between. 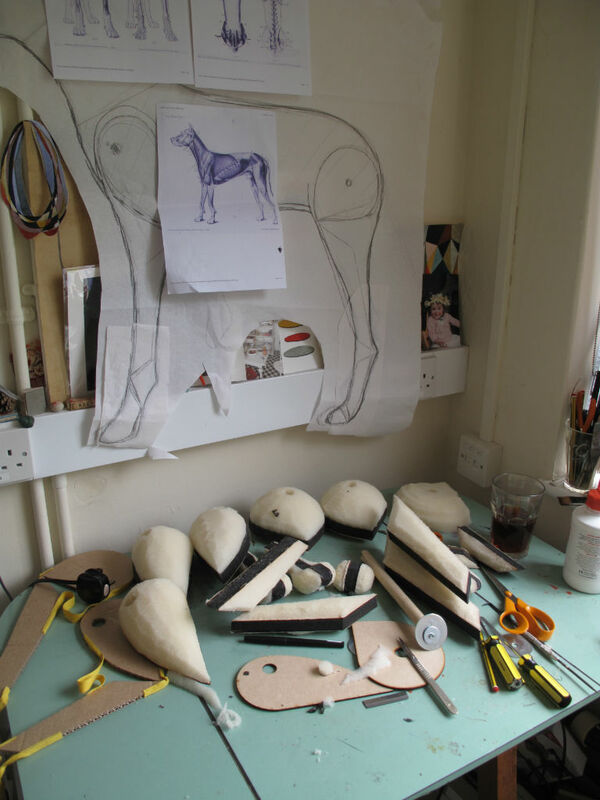 Sketches will be next, sculpting and making the bodies out of reticulated foam, making the joints, adding the fur, feathers or skin and then clothes. 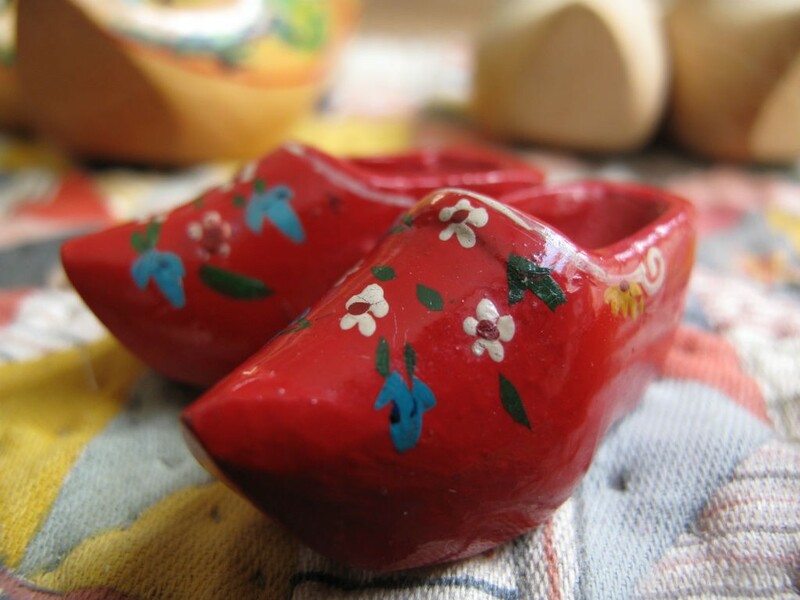 And finally – a little You Tube clip of them in action!